Along with Disney Channel, Nickelodeon is one of the few networks that creates live-action comedies and dramas especially for tweens and young teens. These shows can draw a pretty big audience and deeply loyal fanbase. In that vein, the I Am Frankie TV show has returned for season two on Nick. Can it do as well this year as it did in its freshman season, or even increase its audience? Will I Am Frankie be cancelled or renewed for season three? Stay tuned. 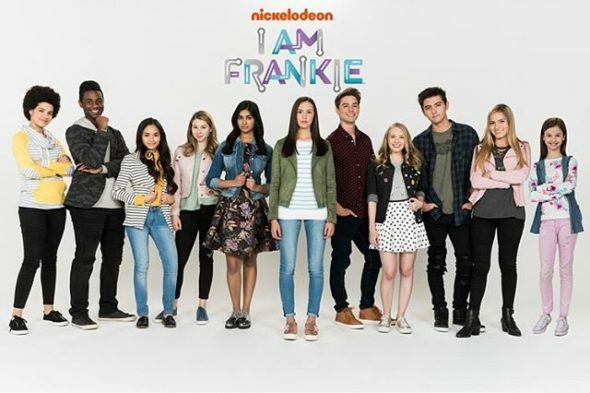 A Nickelodeon comedy-drama, I Am Frankie stars Alex Hook, Nicole Alyse Nelson, Amina Alzouma, Uriel Baldesco, Kristi Beckett, Kyson Facer, Sophia Forest, Mohana Krishnan, Tommi Rose, Carson Rowland, and Zachary S. Williams. The comedy centers on Frankie Gaines (Hook). While she appears to be an ordinary teenager, Frankie is actually a sophisticated computer, equipped with internet access and huge stores of memory. In the second season, thanks to best friend Dayton (Nelson) and a circle of confidantes, Frankie has finally settled in at Sepulveda High. When a new android arrives at school, and everyone finds out androids exist, it shakes up everything all over again. Meanwhile, the military company, WARPA (Weaponized Android Research Project Agency), returns with a new threat. Throughout all this, Frankie has to try to protect her friends and family, keep her true identity a secret, and still somehow lead a normal life. Note: For kids’ programming, the 18-49 demo obviously isn’t as relevent as the total viewer numbers. However, we’re including them so one could compare this show’s numbers with programs on the major networks and other cable channels. For comparisons: The first season of I Am Frankie averaged a 0.24 demo rating with 1.24 million viewers. What do you think? Do you like I Am Frankie TV series? Should this Nickelodeon TV show be cancelled or renewed for season three? I Am Frankie on Nickelodeon: Cancelled or Renewed for Season Three?